Phonographic Copyright (p) – Rham! ℗ & © 1988 Rham Recs. A spine-tingling tune to hear for anyone who was around to in 1988. The CD 'Lisa May - The Curse Of Voodoo Ray' contains some interesting mixes. The mix entitled "Man'Chiavellian's Full 8 Mins Edit" is a great mix, mixing acidic and modern trance elements. After a quarrel about money and royalties with the other members from 808 State, Gerald Simpson decided to go his own way after lending a hand recording in what was arguably the band's finest moment, Pacific State. 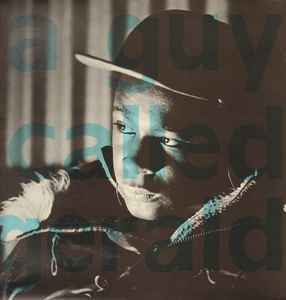 Reappearing as A Guy Called Gerald, in 1988 he released Voodoo Ray, which is according to many the first 100% proof authentic british rave anthem along with Stakker Humanoid, and a definite Manchester classic. Allegedly, the forceful groove, dense percussion and the xylophone-like effects were his attempt at creating a samba vibe of some sort, since he listened to a lot of latino music at the time. The blistering, shuffled bass line, the mesmerizing chants and cacchination of a divine female vocal, and the overall tropical feel only hinted at the polyrhythmic aesthetic Gerald would pursue during the nineties, while working more with jungle music. There is a crooked male vocal as well, going and accentuating the words "voodoo ray", the mysterious track title which alludes to something like a shamanic character, an occult religious persona, or maybe a mind controlling ray, a spell cast by a voodoo priest. However, the track tittle was a mere coincidence, as originally it should have been called Voodoo Rage, but Gerald said how he didn't have sufficient memory on his sampler, so he had to drop the 'g'. About the track, he once said that he had this idea, or a vision about people being locked inside a rhythm, an image of a voodoo ceremony. But instead of portraying this image into something more aggressive, the final result was very enigmatical, a track which was sucking you all in, with no explanation. A one of a kind gem, with a very true to form form and structure yet instant likeability and cross over potential, due to its feel good sound. A classic for sure! I was in the Hacienda the first time this was ever played and the crowd response was amazing. I think it got played three times that night, a rare accolade as I don't recall any song ever being played more than once in a night. Gerald sent 'Voodoo Ray' into Manchester 103fm Radio Station in 1988 which was played by Stu Allen's late night show. He didnt leave any contact details on the recording and for weeks the request was going out "Will this Guy Called Gerald please contact the station as soon as possible" and so the legend goes he was also working at Mcdonalds at the time. Since this comment i have spoke to Gerald and quizzed him, he told me that this wasnt the case as he knew Stu long before Voodoo Ray adding maybe this was a bit of Radio Hype. An all-time classic, but do you know where the "Voodoo Ray" sample itself comes from? The amazing truth is that it's taken from the "Bo Dudley" sketch on Peter Cook and Dudley Moore's "Derek And Clive Live" album. The original phrase (accidentally truncated by Gerald Simpson's sampler) was "Voodoo Rage" and was spoken by Cook; the shout of "Later!" is by Moore. Now I bet you never knew that!